As you may know, particularly if you follow me on Twitter, I’ve spent the last few months training for my first half marathon. Admittedly, as my training got more intense, I had less time to blog because I was either running or recovering from running. During that time, I missed sharing with you what I’ve been opening, particularly as I was still drinking wine. All of that is about to change, though. 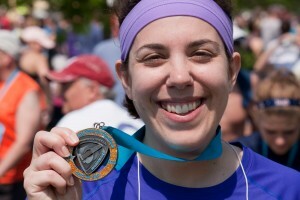 On April 30, I finished the Country Music Half-Marathon in Nashville, TN! So, I’m back…and I’m ready to share with you the first wines tasted after finishing the race. While Hubby and I were in Nashville, we had the chance to do some sightseeing. One of our last stops was the Belle Meade Plantation. You can imagine my excitement when I realized that included in the mansion tour was a wine tasting. 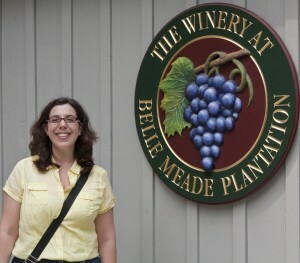 The Winery at Belle Meade Plantation had five wines to taste: Carriage House White, Bramble Blush, Muscadine, Racing Silk Red, and Belle Meade Blackberry. 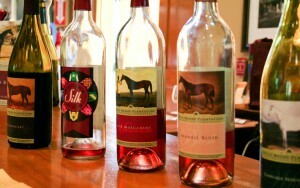 All of their wines sell for $19.50, and the wines were not my style, with the exception of the Carriage House White. Bramble Blush—a slightly sweet rose, with good acidity but otherwise, fairly non-descript. 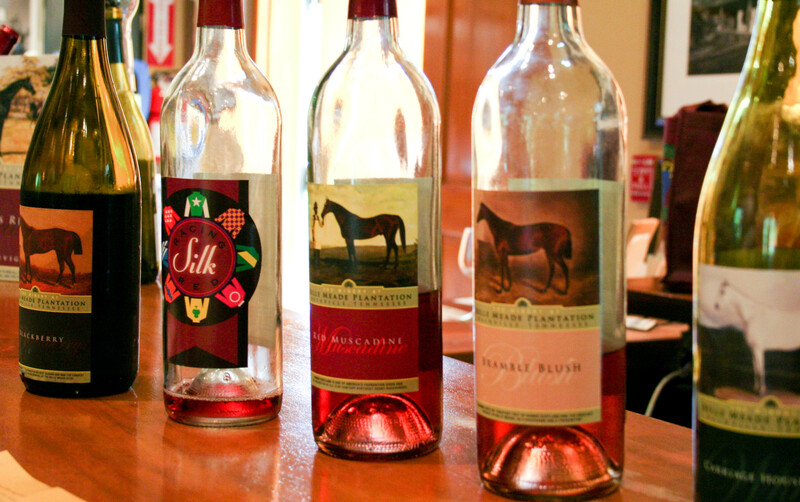 Muscadine—a sweet wine that tasted like smoked cotton candy. Racing Silk Red—made with concord grapes, this wine had very low acidity and tasted like drinking alcoholic Welch’s grape juice. 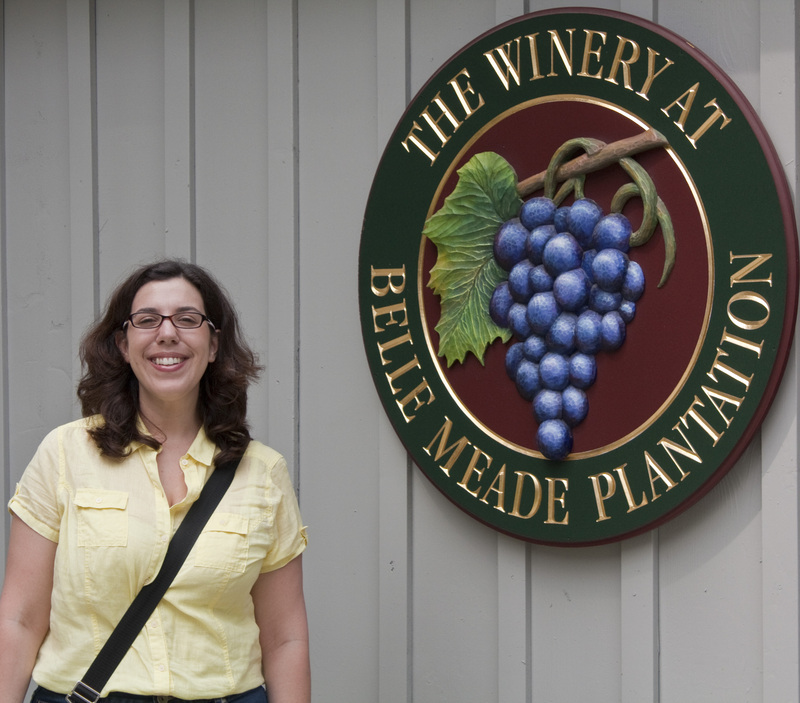 Belle Meade Blackberry—Made with 80% blackberries and 20% grapes, this wine is very sweet, but has a light body. The Carriage House White was a very pale, straw yellow. On the nose, there were stone fruits—apricots and nectarines—granny smith apples, and a hint of pineapple and grapefruit. In the mouth, there were nectarines and applesauce with a hint of grapefruit and pineapple. The wine had bright acidity, a light body, and a hint of sweetness. Is this worth a glass after work? Definitely! If you see this wine in the store, grab it; you won’t be disappointed. At $19.50, this wine is a nice picnic wine. 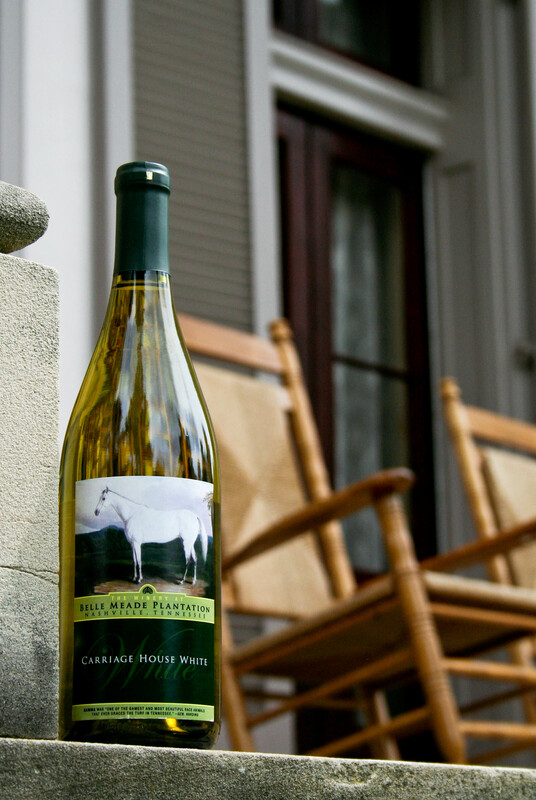 It’s a simply, refreshing wine that would be perfect for relaxing on a hot summer day. I actually purchased a bottle to bring home, and while the wine was most enjoyable on its own, it did pair nicely with the turkey curry and basmati rice that Hubby made for dinner. Trying wines from different states is always fun, and this wine was a great example of what Tennessee wine can offer. Amanda–I was sorry we missed each other in Nashville too. Congrats on your full marathon, and hopefully we’ll overlap at another race in the near future.